The machines in the G-10 range are elegant and solid, with a sophisticated design that draws attention to them. The wide range of models means that you will always find a machine that perfectly suits your needs. We have combined our genuine experience of building first-class espresso machines with creative solutions and the latest innovative technology. Therefore, you can be sure that all G-10 machines deliver what they promise. That is, a perfectly brewed espresso to your guests. Every day, year after year. 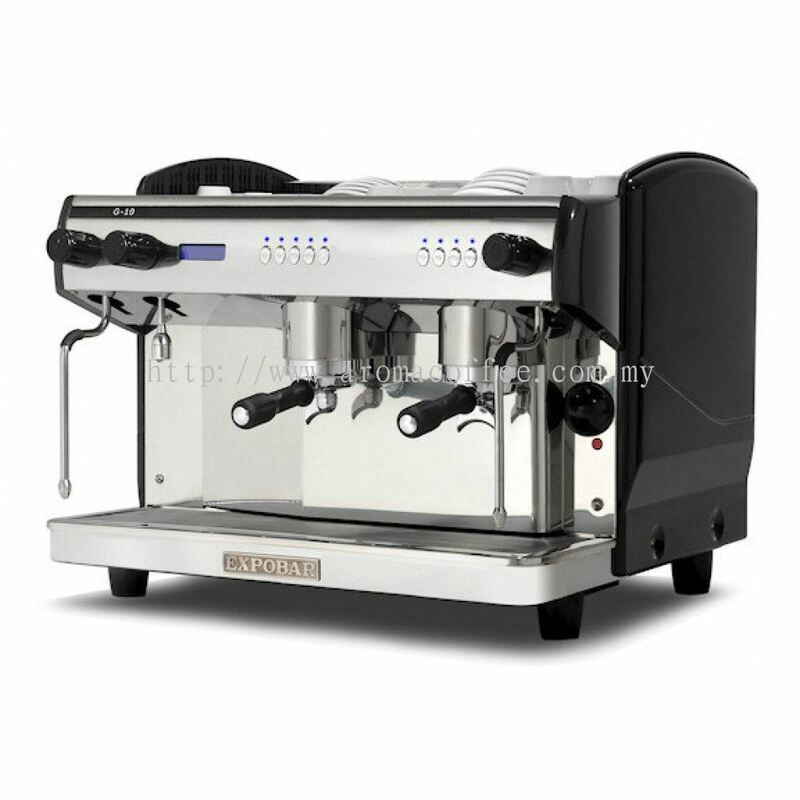 G-10 fits in all types of environments, from small local diners to top-level restaurants..
Automatic espresso coffee machine with 2 groups, electronic switchboard to control the coffee dosages volumetrically, with automatic water filling and copper boiler with 11,5 litres capacity with heat exchanger per group and cleaning valve. Two steam tap (stainless steel) and one hot water tap. Display: advertising, automatic dosing of hot water, time management, and memorization of total brewed coffees, daily automatic switch ON/OFF of the coffee machine, control of the boiler temperature through display and PID energy saving technology.